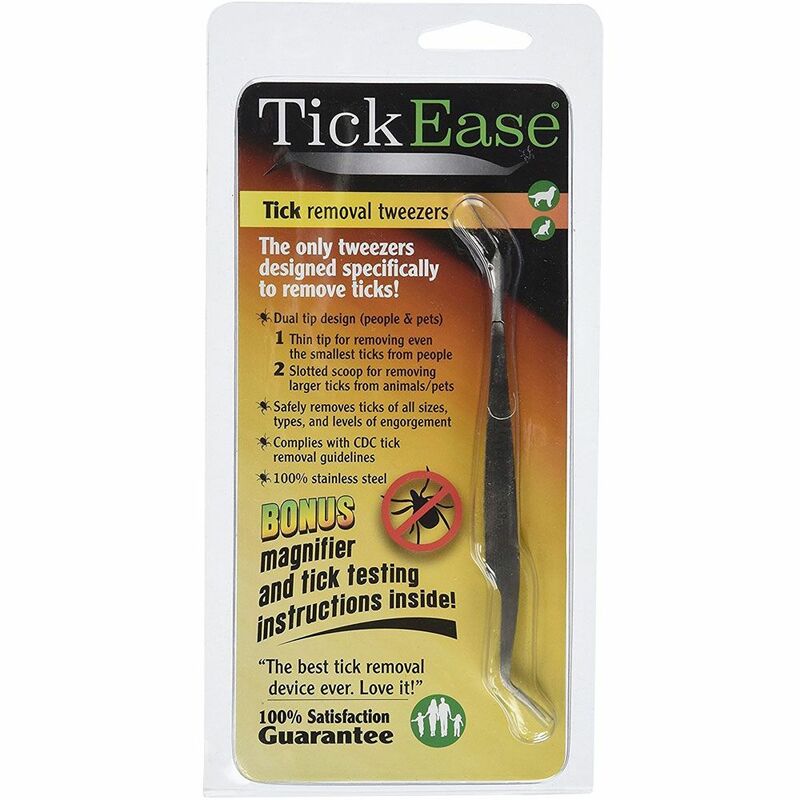 TickEase Safely remove ticks from both pets and humans with the TickEase Tick Removal Tweezers. The only tweezer of its kind, TickEase features dual tips that are specially designed to remove ticks from both man and man's best friend. With a thin, pointed top on one end that can remove even the tiniest tick from people, the other end features a slotted scoop that can remove larger or engorged ticks from animals. Tick-borne illnesses like Lyme disease are a growing concern in the U.S., and proper removal is a critical step in preventing infection. 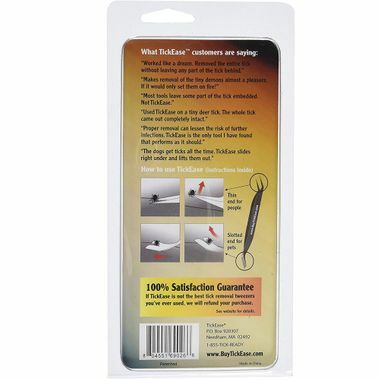 The only tweezers specifically designed to remove ticks from both humans and animals. Works to safely and effectively remove ticks of all sizes, types, and levels of engorgement. Dual-tipped design is made for animals on the slotted end and for people on the thin, pointed end. 100% stainless steel can withstand sterilization heat so you can safely clean for repeated use. 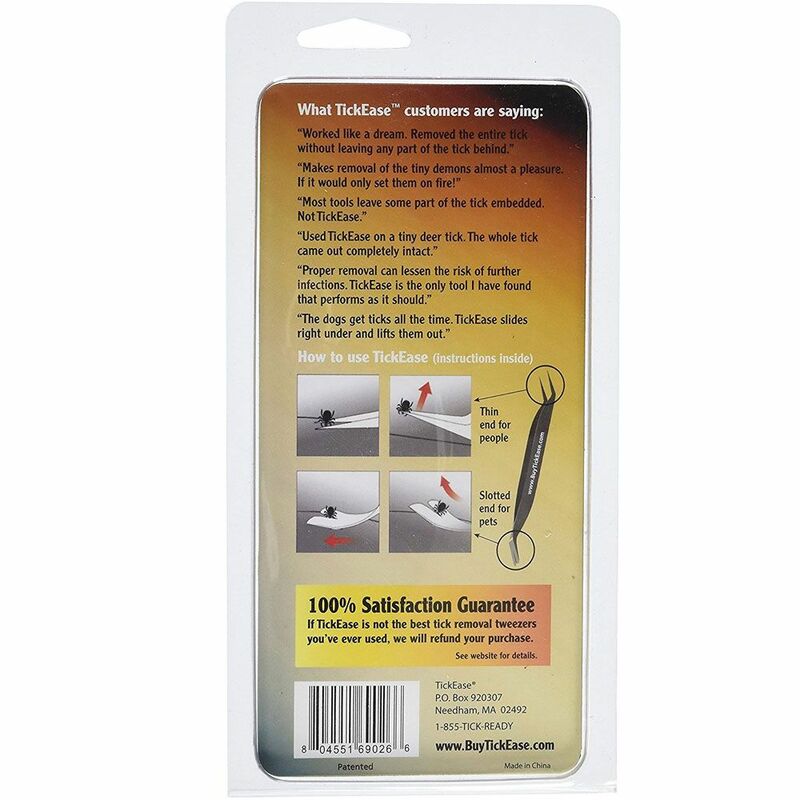 Complies with CDC tick removal guidelines and includes a bonus magnifier and tick testing instructions.